The Living Room features international and Thai comfort food, as well as loose-leaf tea and barista-made coffee. Light meals are provided throughout the day, including an a-la-carte breakfast; high tea in the afternoon; and wine and canapés in the evening. 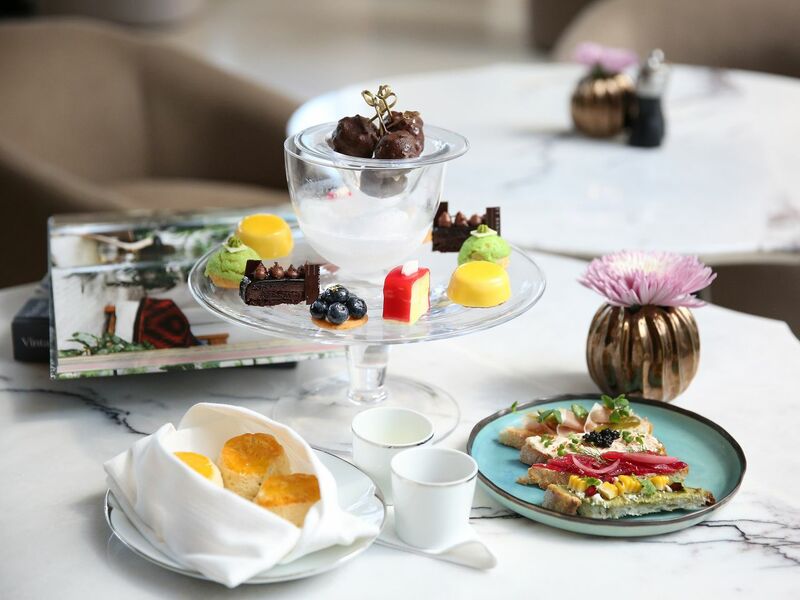 Afternoon Tea: 2:00 – 5:00 p.m.
Embassy Room invites you to explore a new collection of modern European dishes. Executive Chef Franck Detrait and Chef de Cuisine Pierre Tavernier have taken it back to the basics by combining inspiring culinary arts with original techniques. Enjoy simple and delicious dishes in a new series of a la carte and tasting menu sourced from sustainable fresh ingredients, hand selected and seasonal organic produce from around the world. 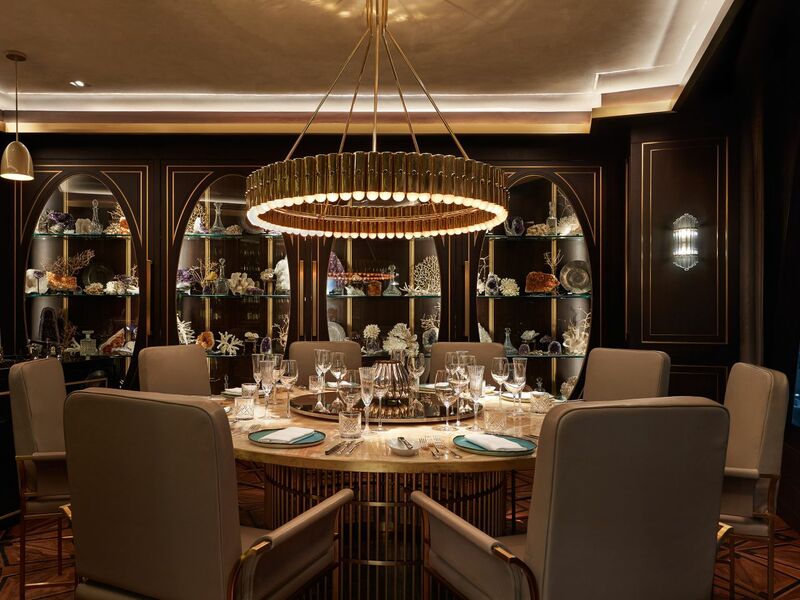 Highlights of the menu include Hokkaido scallops, Scottish salmon, Black cod fish spelt "risotto style", Braised wagyu beef cheek, Duck breast "A l'Orange", Australian lamb chops and much more. Weekday Breakfast: 6:00 – 10:30 a.m. Lunch: Noon – 2:30 p.m. Weekend Breakfast + Public Holidays: 6:00 – 11:00 a.m. The Penthouse Bar + Grill is a three-floor entertainment complex consisting of a grill and various bars and lounges open til late night. 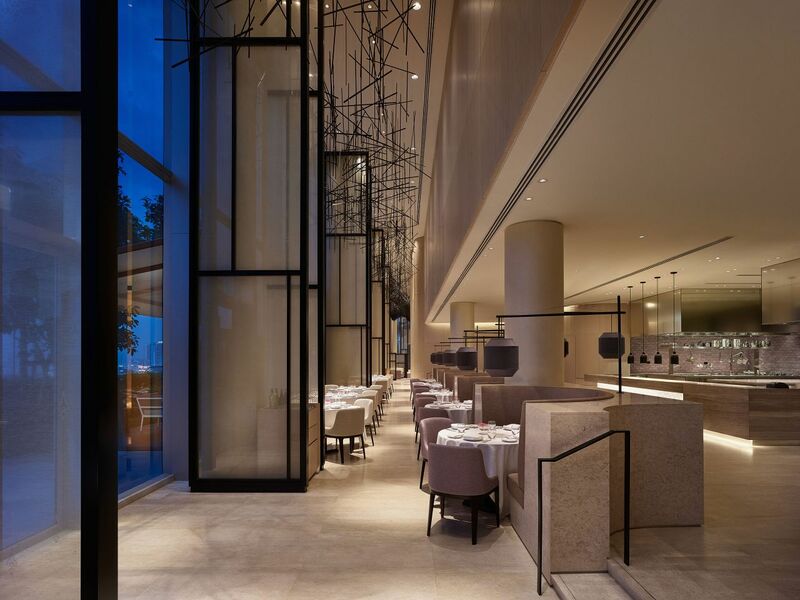 The unique collection of six venues includes The Grill, Chef's Table, The Cocktail Bar, Whisky Room, The Mezzanine, and Rooftop Terrace and is located on top of Park Hyatt Bangkok. The Grill serves quality meats and seafood dishes at its open grill kitchen on level 34, then a floor above featuring the Whisky Bar with live jazz bands, a Cocktail Bar for those who enjoy an upbeat nightlife with amazing DJ lineups, and a rooftop terrace offering spectacular views of the city. Penthouse Bar + Grill is open till late night. Sunday Brunch: 11:30 a.m. – 3:30 p.m.
Monday - Wednesday: 5:30 p.m. – 1:00 a.m.
Thursday - Saturday: 5:30 p.m. – 2:00 a.m.
Sunday: 3:00 p.m. – 1:00 a.m.
Sunday - Wednesday: 5:30 p.m. – 1:00 a.m. 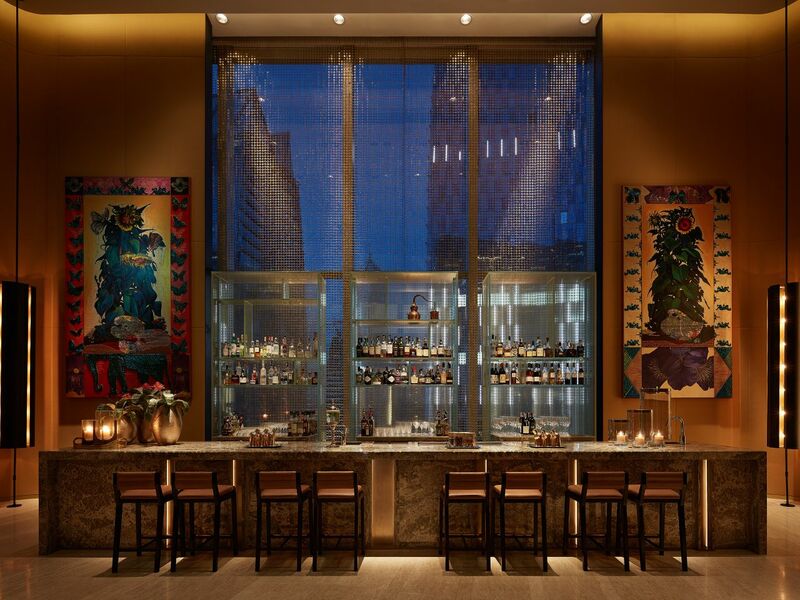 The Bar is a sophisticated ‘go-to’ place to enjoy an after-work drink, sundowner, or nightcap. The Bar specializes in whiskies, Champagnes, and perfect classic cocktails. 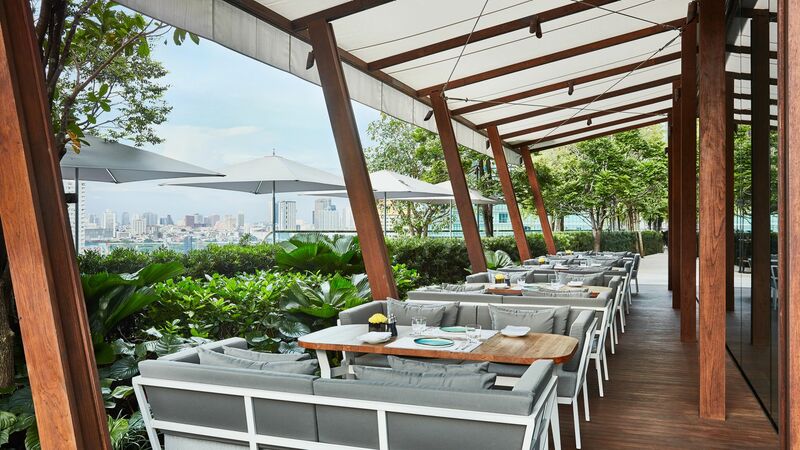 Choose to sit at the butler bar, in the lounge, at a communal table, or outdoors on the terrace overlooking bustling Phloen Chit Road.